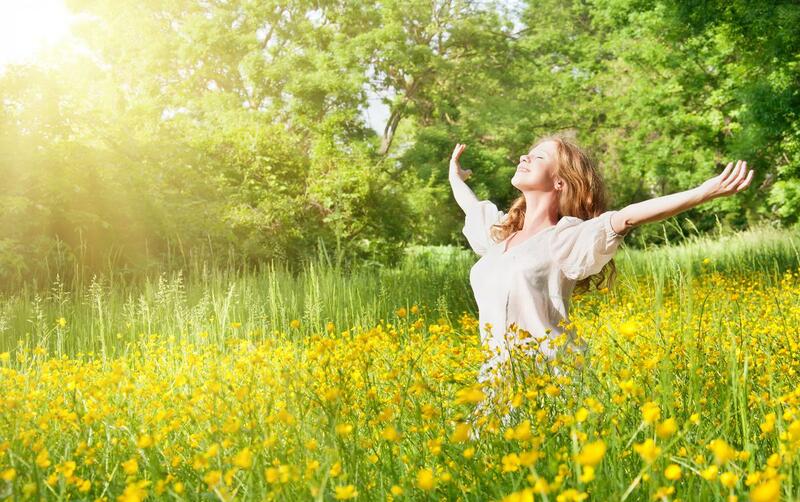 Is Sunlight Actually Good for You? It’s 80 degrees, a slight breeze, and a blue sky with not a cloud in sight. You’ve set-up the barbecue for this year’s Fourth of July party with family and friends. Looking forward to some fun in the sun until the evening’s fireworks display, you’ve prepared with plenty of water and of course, plenty of sunscreen lathered on to be safe. We’ve known the link between too much sun exposure and increased skin cancer risks, but there’s much more to the story. For instance, it may surprise you to know that the sun plays a key role in helping us fight off said skin cancer and a multitude of other diseases. In today’s dive we’ll look at how vitamin D, a vitamin produced by the sun, helps us to prevent cancer and what the consequences are if we don’t get enough of it. We’ll also discuss a healthy lifestyle may actually include being out in the sun more often. Vitamin D, an essential fat-soluble vitamin derived from cholesterol, is best known for the part it plays in keeping our bones healthy by promoting calcium absorption in our diet. Lesser known roles also show its importance in immunity, hormone release, cellular proliferation, and programmed cell death (1). It’s often referred to as the “sun vitamin” because of our unique ability to generate about 90% of our daily need from sunlight. Ultraviolet light, namely UVB, converts the molecule 7-dehydrocholesterol to a pre-vitamin form of D3 (2). The pre-vitamin is converted to an active form of vitamin D, called calcitriol, following processing in the liver and kidney where it acts systemically. It has also discovered that the pre-vitamin form can also be processed to a small degree within skin cells themselves to exert a local effect on protecting DNA damage and regulating skin cell replication and differentiation (3). The importance of generating vitamin D from the sun has more recently taken a backseat to limiting the risk of skin cancer. A breadth of knowledge which demonstrated sun exposure as the primary risk factor for developing cancer has lead to a health campaign on the use of sunscreen and avoiding sun exposure. Unfortunately sunscreen’s blockage of UVB radiation equally blocks our ability to create vitamin D with an SPF 15 or greater blocking more than 90% of our ability to generate it (4). An unintended consequence of this has led to vitamin D being one of the most common vitamin insufficiencies in our modern age. The health risks of too little vitamin D are far reaching and include risks to bone mineral loss, cardiovascular disease, autoimmune disease, infections, and cancers (5). Those at higher risk for skin cancer, particularly those with pale complexions, have often been told to avoid sun exposure at all costs. Skin cancer is divided into two categories, the aggressive and deadly melanomas, derived from a skin cells that make up your moles, called melanocytes, and the much more common, but less deadly non-melanoma skin cancers that derive from your normal skin cells, called keratinocytes. Studies that found that these cells are under significant control of vitamin D which play a role in regulating how the cells replicate, differentiate and most importantly trigger programmed cell death in responses to DNA damage. The mechanisms of skin cell regulation involve the interaction with vitamin D’s primary targets, the aptly named vitamin D receptor (VRD). A number of studies have indicated that interruptions in Vitamin D signalling of VDR predisposes a larger risk for skin cancer when exposed to chemical or UV radiation. This includes those with genetic variants in VDR or those with decreased vitamin D intake (6-7). Other studies have also observed that low vitamin D levels correlated with thicker sized melanoma skin tumors which have poorer survivability (8). Vitamin D’s ability to inhibit cell growth and exhibit anti-cancer activities is even now being investigated as therapeutic to treat melanomas (9). However, it’s important to know that this area is still under active research and many controversies exist for widespread recommendations. What we do know is that vitamin D has a much bigger role at protecting us than previously thought and it levels are clearly correlated with not just skin cancer prognosis, but other cancers as well. With continued future studies it is likely that the importance of vitamin D in our skin health cannot be underestimated. While there is no doubt on the importance of limiting sun exposure to reduce skin cancer risk, strict avoidance of the sun may be just as problematic. The saying, “everything in moderation” fits well here as practicing sun moderation is needed to maintain healthy vitamin D levels. For sufficient levels, recommendations include sun exposure without sunscreen on arms and legs for at least 5-30 minutes twice a week (10). Time recommendations vary with darker skin tones and cloudy weather requiring more time. If the idea of foregoing any sunblock is still a risk you’re not willing to take, talk with your doctor about adding vitamin D supplements to your daily regimen. However, as with most things, Mother Nature just got it right, and a little sun exposure may add in that extra protection to reduce DNA damage risks. So as you plan for your Fourth of July festivities, don’t forget to pack your sunblock, but maybe just take a quick walk before applying. Reichrath J, Nürnberg B. Cutaneous vitamin D synthesis versus skin cancer development. Dermato-endocrinology. 2009; 1(5): 253-261. Burns EM, Elmets CA, Nabhia Y. Invited review vitamin D and skin cancer. Photochem Photobiol. 2015; 91(1): 201-209. Bickle DD, Elalieh H, Welsh J, Oh D, et al. Protective role of vitamin D signaling in cancer formation. J Steroid Biochem Mol Biol. 2013; 136: 271-279. Holick MF. Shedding new light on the role of the sunshine vitamin D for skin health: the IncaRNA-skin cancer connection. Exp Dermatol. 2014; 23(6): 391-392. Bikle DD. Vitamin D and the skin: physiology and pathophysiology. Rev Endocr Metab Disord. 2012; 13(1): 3-19. Denzer N, Vogt T, Reinchrath J. Vitamin D receptor (VDR) polymorphisms and skin cancer. Deramtoendocrinol. 2011; 3(3): 205-210. Park SM, Li T, Wu S, Qureshi AA, et al. Vitamin D intake and risk of skin cancer in US women and men. PLoS One. 2016; 11(8): e0160308. Caini S, Boniol M, Tosti G, Magi S, Medri M. Vitamin D and melanoma and non-melanoma skin cancer risk and prognosis: a comprehensive review and meta-analysis. EJ Cancer. 2014; 59(15): 2649-2658. Szyszka P, Zmijewski MA, Slominski AT. New vitamin D analogs as potential therapeutics in melanoma. Expert Rev Anticancer Ther. 2012; 12(5): 585-599. Holick MF. Vitamin D deficiency. NEJM. 2007; 357(3): 266-281.